I hate to say it, but William Ritter seems to have hit a sophomore slump with 2015’s Beastly Bones. I loved my experience reading Jackaby last year: it had so much of all the things that I love about books of the type. Much of that remains in book two, Abigail is still independent and self-assured, Jackaby is still his off-kilter self without being off-putting, we still have a live in ghost, and a shape shifter, and a relatively tightly paced mystery. But… book two commits a sin that book one managed to avoid. Its main purpose seems to be setting up a larger story to be told in the next book (which is to be released later this year). 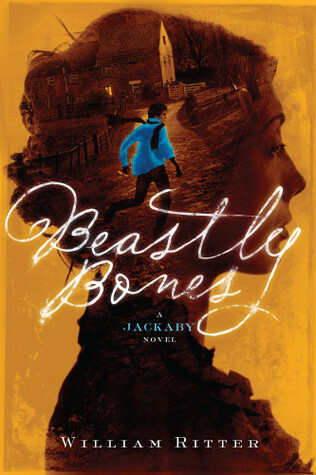 Beastly Bones has a plot all its own – Abigail and Jackaby have been brought in to nearby Gad’s Valley, now home to the exiled New Fiddleham police detective Charlie Cane, dinosaur bones from a recent dig mysteriously go missing, and an unidentifiable beast starts attacking animals and people, leaving their mangled bodies behind. There is also the problem of bodies turning up with weird puncture wounds on their necks, and shapeshifting creatures on the loose. 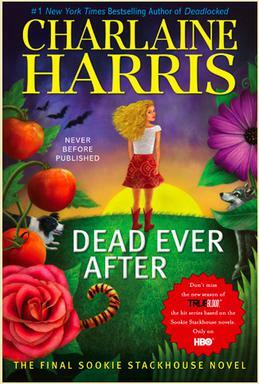 All of that is resolved (mostly), some new characters get introduced, and things proceed as one would expect for a book aimed at a YA audience. But… I have this nagging dissatisfaction. Was Abigail still awesome? Yes. Was she given great feminist advice which she then turned to her own way of doing things re: her love life and career? Yep. Was there a plausible end to the mystery? You bet. Were characters given enough time on page? Mostly. Jackaby’s landlady ghost, Jenny Cavanaugh, is necessarily out of sorts in order to set up the third book which will focus on her (as book one focused on the titular Jackaby and book two focused heavily on Abigail’s interests and history), and off page because Jackaby and Abigail are away from New Fiddleham. However Jackaby quite literally does an infodump at the end of the book to explain how we’re getting from the events of this book to the ones upcoming. We didn’t need it. The YA readers didn’t need it. And after a bumpy start of the book it made me round this down to 3 stars. It simply wasn’t as strong as some of the other 4 star books I’ve read this year. Do I still suggest this series to you? Absolutely. They are fun, clever, and quick-witted and I remain enthusiastic for book three, Ghostly Echoes. Soulless by Gail Carriger sparked my interest when I saw a review of it over on io9. I thought “hey that sounds like a fantasy/steampunk book I could get behind”. And that was great because we were working on Steampunk at work (I have a weird job) and I thought it would be a great place to jump in. Then I forgot all about it until several months later when a friend of a friend said she read it and enjoyed it. I subsequently begged to borrow said book and because she is a very nice person it was lent to me forthwith. We meet Alexia Tarabotti right away, and I must say this character begins the story as she means to continue – with a healthy appetite and an ability to fight for herself, and I like that about her. The world Alexia inhabits is a re-imagined Victorian Era, if vampires and werewolves had been living openly in society for centuries. The author, Gail Carriger, does a great job of providing the ways in which this altered reality would affect the history of her new world (the pilgrims were leaving England for more than just religious reasons in this version of history). Alexia is an odd creature even in this world. She introduces herself as an ugly spinster, on the shelf due to her ‘bad’ habits and Italian heritage. In fact, she harps on it so much you know the author is going to bring in someone who is of an opposing view (and she does). We also learn quite quickly that while vampires and werewolves are made from people with an excess of soul, Alexia is herself soulless. This state makes her interactions with vampires and werewolves very different from regular humans. Skin to skin contact returns the supernatural to their human state. This also reasons to keep her identity a secret, since the soulless historically were supernatural hunters. But, needless to say, Alexia finds a way to be right in the middle of the supernatural set. And hi-jinks and mystery solving ensue. I know I am leaving out the entire plot, and while the beginning of this novel is certainly an info dump, I wouldn’t want to spoil the story for anyone looking to read it, or its sequels for themselves (Soulless is the first in the Parasol Protectorate series, reviews for the rest of the books in the series will be following). There is a lot of great characterization here, characters who get stuck in your head and you wonder about, and I promise to talk about all of that more in my review of the next book, Changeless.